Fiat 500C Interior, Sat Nav, Dashboard | What Car? 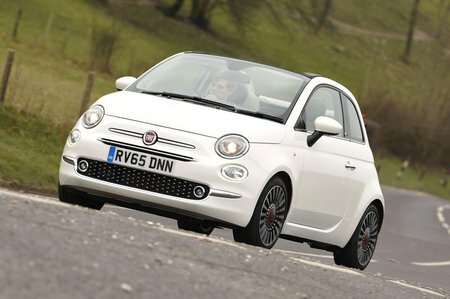 Plenty of drivers will struggle to get comfortable in the 500C. The seats are quite flat, and – more critically – there’s no height adjustment on Pop and Pop Star trims (you can’t add it, either), and no reach adjustment to the steering wheel; it only moves up and down, not in and out. The dash is reasonably easy to use, with conventional rotary switches for the air-con, and you get audio controls on the steering wheel as standard across the range. However, you have to pay extra (albeit a reasonable cost) to get the 5.0in colour touchscreen on all but top-spec Lounge trim, which gets it as standard, and is also available with a 7.0in touchscreen as an upgrade. It’s definitely worth adding the screen to the lower-spec cars. 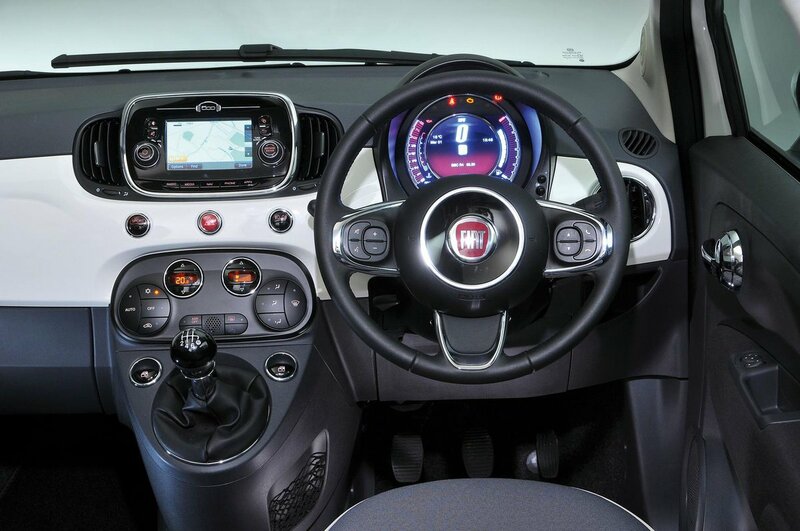 The dash looks more modern with it fitted, and adding it brings essential infotainment functions including. Bluetooth, and, if you pay a bit extra, DAB and sat-nav. It’s not the best screen in the class – it’s slow to respond, has small icons, and can be hard to see in direct sunlight – but it is fairly easy to get the hang of, and if you add the TomTom sat nav then that, too, is easy to fathom. Even if you add the colour touchscreen, the Fiat’s interior errs more towards cheap and cheerful than anything else, despite its gloss dash insert. Certainly, in terms of perceived quality, the Mini Convertible’s interior feels a class above and goes a long way to justifying its higher price. Visibility is pretty poor to the rear. 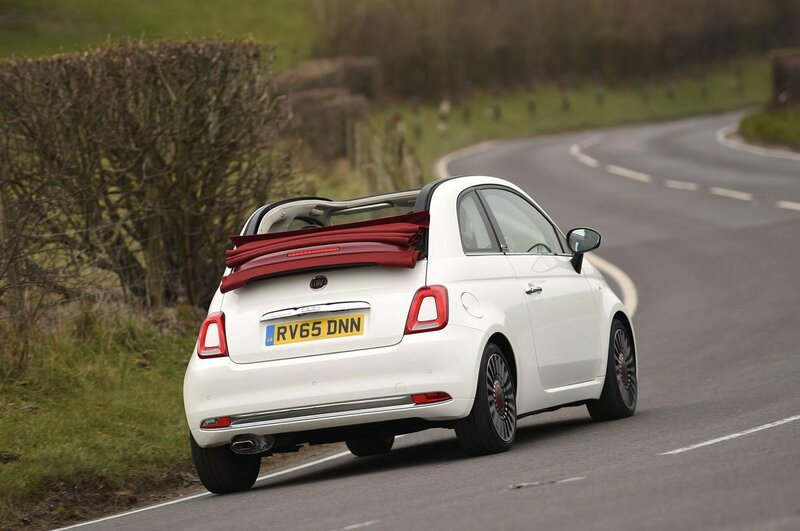 No small cabriolet does well in this area, but the Fiat’s narrow rear window (which is heated glass as standard) offers a more restricted view out than the broader window of the Mini, so you need to be conscious of the big blind spot to the rear three quarters. With the roof folded, you really can’t see much to the rear. Adding rear parking sensors (optional on all but Lounge trim) is a wise move.